Waiting for your clothes to dry can be a drag, especially when it takes longer than it should. Our service techs will clean up the entire length of your dryer vent and restore the venting function of your dryer. Phoenix Metro AZ! Visit our website at http://www.ductz.com or call us at 623-466-8625 . Offer valid in Glendale, Peoria, Surprise, Phoenix, Scottsdale ,Mesa, Fountain Hills, Tempe, Chandler, Gilbert, Anthem, Paradise Valley, and Ahwatukee Arizona. Ask us about our packaged duct & dryer vent cleaning deals! Offer void where prohibited. 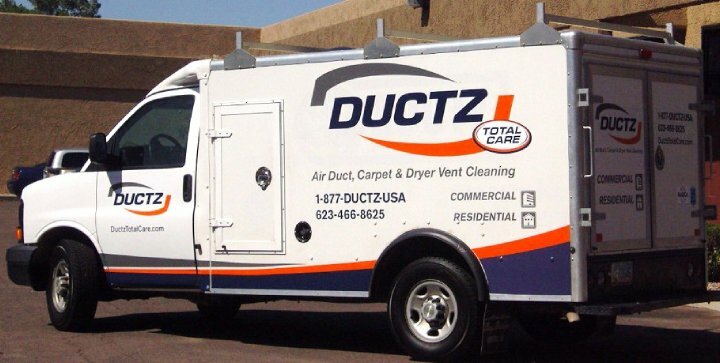 Don’t let odors smell up your day – call us for your air duct cleaning needs in Phoenix! Odor removal in an air duct system involves more than spraying a pretty fragrance to mask the smell. More particulate in an air system is organic – over time, anything organic (especially if it is exposed to moisture…) will begin to decompose. The only way to effectively reduce or eliminate the odor is to mechanically clean the air system (including the air handler, coil, and insulation) first. Call us at 623-466-8625 to find out more about our deodorization service and how we can help you!